Graphite and Ink drawings of pedigrees (roughly 9"x17"). Ink drawings of champions and their friends are roughly 9" x 11" and are available as silkscreens. These were done during the development of my artist's book A Deeply Game Dog: the Sweet Science of Breeding Champions. 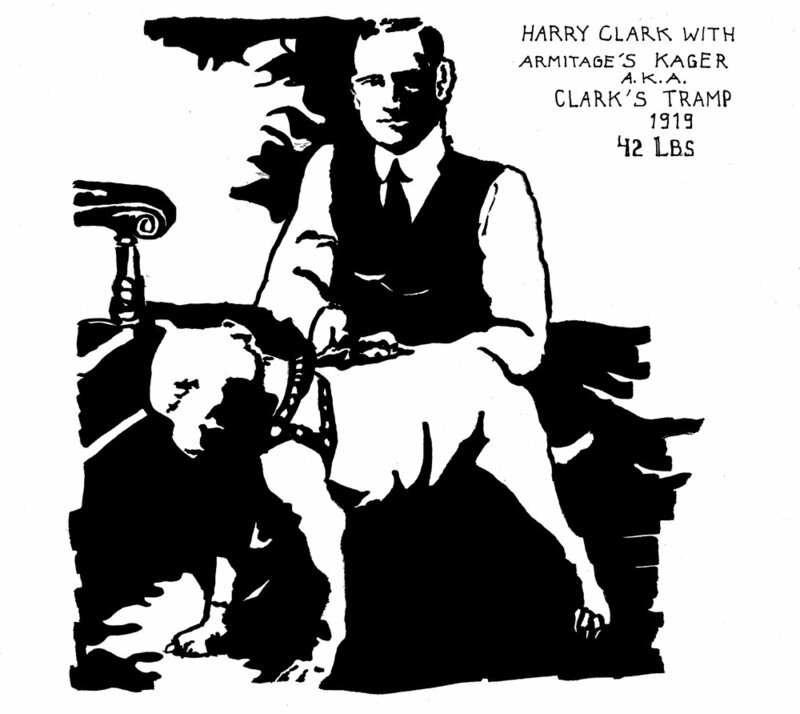 The ink drawings owe a great debt to RIchard Stratton's seminal book This is the American Pit Bull Terrier (1976). Many of the turns of phrase I have used in the drawings are his.